I found myself smiling a lot this week as I went through the images from this session. There is a lot to make any photographer happy: beautiful light and amazing models. But what really had me smiling was their smiles, and the way they simply light each other up. Meredith glows, she is beautiful, and her bump is just perfect. 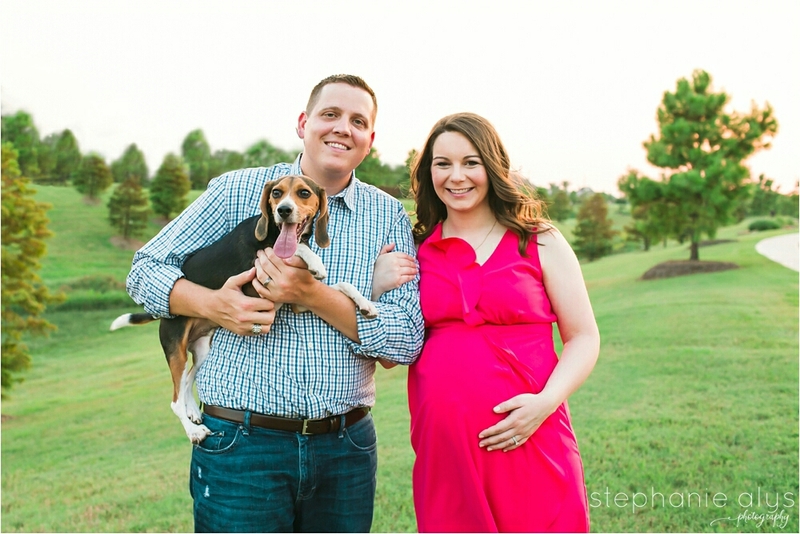 Their incredibly adorable beagle, Ranger, joined in for a few family pictures. I have a feeling he is going to be best friends with the baby right away! These two are going to be amazing parents, they make a great team. I feel so lucky I got to meet them, and I am so looking forward to meeting their little one!